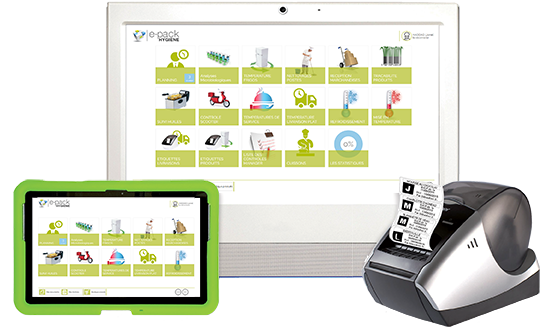 ePack Hygiene Principle: making the extremely restrictive HACCP process paperless and adapting it to kitchen working conditions. Say goodbye to paper, pens, binders, and archive boxes… All your mandatory records are produced using the tool, automatically and instantaneously stored and filed. This makes the process much simpler, quicker, and more motivating! They chose the ePack Hygiene; discover their testimonials.